Speaker 1: Hi. If you want to make money in real estate, there is no better way to get started. 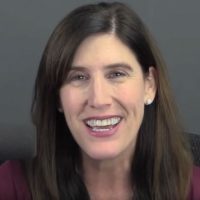 The purpose of this weekly live show is to answer your questions about getting start in flipping land to move on to bigger transactions and other types of real estate. 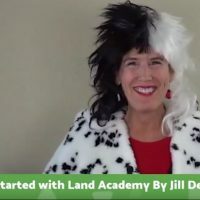 I am Jill [DeWitt 00:00:23], co-founder of Land Academy, and together with my partner, Steven Jack [Butala 00:00:28], we’ve completed close to now 16,000 real estate transactions of all types, not just land. Speaker 1: We all know that there’s money to be made in real estate, and most people are doing it wrong. So I’m here every Wednesday at two o’clock Pacific Time to help you connect the dots. This is show number three and today I’m gonna talk about Property Offer Letters 101. I’m gonna help you here. And then in about 15 minutes, I’m gonna answer your questions. Speaker 1: Some reasons why our group, the Land Academy Investor Group, are so successful is, number one, we never chase sellers, imagine that. Number two, we know how to get motivated sellers to contact us. Sounds like a dream, right? And number three, we know that our offer price is agreeable to them. And let’s be honest, it is below retail. Speaker 1: So how do we do this? We send a ton of well written offers to property owners with solid researched prices and we sit back and we wait for them to contact us. We send … Let me give you just kind of an example here; we mail about 1500 units for rural vacant land, we’re gonna get about three to five deals out of that. And just to give you an idea, “What does this cost? This all sounds so great, Jill.” Well, the data costs us … and it would be for you too … about $150 to pull that much data for all the property ownership information. Getting all that in the mail, costs about $825. So I’m in it for about $975. Speaker 1: Then think about that. I’m getting three to five deals, let’s just say I got four out of it. $975 if I buy four, I’m in about $250 a deal. So awesome. Now, for houses, just so you know, because we do it with houses too, 3000 units yield about one house, and I mean it, for about $1950. Like $300 for the data, and about $1600 or so for the mail. That’s it. Speaker 1: Let me just really hit this home one more time. This means that for rural vacant land I’m spending about $250 each to find a property to wholesale and double my money. And by the way, I’m not doing any deals where I don’t make less than $10,000. $250 for me, piece of cake. Speaker 1: Now for houses, think about this: I wanna make no less than, let’s just say $30-40,000. I’m not messing around. That’s in Arizona. In California, I’m making at least $100,000 on a deal, and I’m spending $1950 to find one. Money well spent. Thank you. And by the way, I’m not chasing anyone. That’s the best part. Speaker 1: So what do our offer letters contain and where can you get one? Well, you know what? Let’s look together. I’m gonna show you right now. One moment here. All right, here is where our offers come from. You should be looking at our screen, OffersToOwners.com. This is our company that we created to make sending mail the cheapest and the easiest way possible. You come up here under Forms, on the upper right, in the green area, click on Forms, scroll down … I’m showing you this because it’s free, so have at it. Use this stuff. Speaker 1: I want you to come all the way down with me. You should see a section that says, “Mailer Examples PDF.” I’m gonna pull one of the completed ones, you can kinda see what they look like. Speaker 1: Then if you go in here, it’s really detailed about, “I wanna buy your land in County,” to this first page … you can read it more when you have time. This first page is really kind of an introduction about you, your company, how to contact you, how you got the information, why you’re sending this letter to these people, and so they know what’s going on. Speaker 1: Now, watch page two. This is the best part. This, page two of every mailer, is a very personalized, very thought out Purchase Agreement. It has [inaudible 00:06:30] on the APN. For house, you would have the address, has the acreage, has a label description. This person knows, this guy … [inaudible 00:06:38]. Dear Michael. Michael Clark here, “Dear Michael Clark,” he knows that I know this property. I’ve got the APN right, got the acreage right, I’ve got the track right, and by the way, I have a purchase price in there. What the heck is that? Speaker 1: Now this guy knows how I found him, I’m legit, what I wanna buy, how much I wanted to spend, and I have some contingencies in there too. This is all contingent on me reviewing this … you know, making sure the taxes aren’t crazy. Now, I have a couple different things here, if I decide I don’t wanna buy it, it’s all spelled out, but the point is this is my way … let me come back here. Speaker 1: The point is, I’m sending this guy a real offer, you just saw it, to get him and see if he’s interested, likes my price, and to contact me back. That’s all it is, that’s all we do, and it works. It works for land, it works for info lots, it works for houses. We did it. It’s awesome. Speaker 1: So now we’ve seen the template, we’ve seen a little about what this mail thing is about. It’s a introductory letter and a real offer. Okay, what’s the best way to get them in the mail? Right there, what I just showed you. Offers To Owners. Go to Offers To Owners, what you would end up doing is you will basically put together a spreadsheet and send that in with that template letter that you’ll see, that I showed you. My team will do the mail merge for you, and they’ll put it in the mail in hours. It’s amazing. Speaker 1: And just to give you an idea, prices right now are it’s 55 cents for Land Academy members, 59 cents for non-members, that’s all on that website, Offers To Owners, and you never ever, ever … can’t stress this enough … have to lick a stamp. You should never be licking a stamp. I talked to a cute couple today … Ken and Karen, if you’re watching … you should never lick a stamp, we laughed about that, because your time is worth more than that. Speaker 1: And once you start the process, by the way, get these letters going in the mail and these offers out there, you never have to look back. These people get these letters, they might call you right away because they’re ready and they wanna act on them, and they need the money. You just saved them. And sometimes they’re not that ready, but you know what? It’s a professional offer and they traditionally put this in their file and they save it. How do I know this? In still getting calls back from letters from 2005, and even before that. They save them and they call you when they’re ready to sell or the time is right, whatever it is. Speaker 1: So it’s the best thing, and by the way, the key to this whole process is you got their first. You never wanna be going to the MLS, finding a deal, or hearing from somebody’s realtor or something, they all got their first. You’re sending a real offer, a good price to sellers, and you got there first. Speaker 1: So I’ll use the name that they used with me on the phone … I hope that’s answering your question … until they say, “Oh, call me Bob.” And I’ll be honest with you, Jake, I’m a girl, so usually they go right away, “Call me Bob.” That’s one of the nice things about when I get to talk on the phone to these guys. So thank you. Speaker 1: I’m looking here. Ben asks, “How do you offer on houses? Dollars per square foot? Bingo. And there’s a whole process though. This is a really good question, Ben. This is a very smart question. And this is something that we’re working on [inaudible 00:12:25] program for Land Academy 2.0 [Info Lots 00:12:30] because it uses a similar pricing, and then eventually a version of House Academy, and that’s what we do. Speaker 1: So there’s a lot that goes into it, I’m not just picking generic comps. 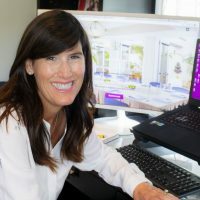 There are a lot of different things that I pull from when I do the pricing, but you’re right, as far as the houses go, it is priced per square foot, just because I’m also pricing 3000 units at a time and I wanna get the mail out. Speaker 1: When it comes back, and if they call me up and say, “Hey, by the way, you don’t know this but I added on all this … you know, to the house or whatever, then I might revisit the price based on that information, so that’s how we do those. Excellent. Excellent. Speaker 1: Oh, so Jake, I have your followup. So on the offer letter, do I use the first name et cetera? It’s in the template, so right there. So first name, last name, and the first name as it’s spelled out in the template there. And you know what? This is not the first time we’ve done this. This is how we got 16,000 deals under our belts, and this is our current letter, what you’re seeing. I’m not just making this up. So this is what we send. If you wanna go look at the house version, it’s in that too, on our website. So download it, use it, it’s yours, save it. If you wanna use one of our mail [inaudible 00:13:58], I’m willing to bet, if you’re not a member, 59 cents all in is phenomenal. Speaker 1: And by the way, my team is working on making it cheaper, so stay with us. But at 59 cents, you should not even think about licking an envelope, handwriting anything, and sending two big files to my team and letting them get it out there. Speaker 1: Mary Crawford asks, “Do you pick up a phone when a potential seller calls or have a VA, or a call center do this?” Excellent question, Mary. I love it. In the beginning, if you’re not able to answer the phone, please use a service like [PATLive 00:14:41]. We use PATLive now, but in the beginning, for a lot of our members, they don’t have the money to do it, but you have the time. You wanna answer the phone. That’s just huge. You want a live person on the other end. I’m not a fan of great recorded phone messages or things like that because we know this, we tested it, we’re missing a lot of calls. And some of the people that are calling you back … gosh, they might be older, and they’re not comfortable even with answering machines, and they need that live body on the phone and to talk to you. And once you get going, you’ll see a lot of these other folks, they may not have email, they may not be able to scan things. Speaker 1: So talking to you makes a big difference with these sellers, and you wanna get that connection right away, so great question. Let’s see here. Speaker 1: Go down. Excuse me a moment here. Hey, I see a lot of people that I know on here. I’m glad you guys are here, thank you. Good stuff coming. Let’s see. Ben Godfrey, hello, asks, “Did you say this offer letter is on your website?” Yes. So Ben, what I showed here … actually, I’ll show you again real quick here. Maybe not. Wait, there it is. Here we go. So here’s the offer letter. If I go back, and back. There we go. Now I got it. Speaker 1: All right, so looking at it here, you’re looking at offers to owners, moment. All right, very top. Offers to owners, forms here. I’m kinda circling around it with my mouse there. Click on Forms. Scroll down, you have to download forms and sample data, and it’s on the left. You have templates [inaudible 00:17:14]. And there’s some, if you look at the mailer, there’s a template in word form for you to download it and use it for yourself, and then there’s a PDF version below that, where you can peek at that, see what a completed mail merge looks like. Speaker 1: On the right here is a sample of our data that we have. You wanna do it for like land, houses, commercial, and if you want help getting data, please feel free, reach out to my team, and they will hook you up. Speaker 1: So that’s one of the things that we look at when we’re picking a county, is I don’t want a county that has a ton of property really cheap and nothing’s selling. So I go look on … like [inaudible 00:18:24] land right now. So I go look all over on like Land Watch, Land and Farm, you can look within my community and see what’s moving, but there’s a lot of good sites out there. You can check and see what’s selling. That’s what I’m looking for. Speaker 1: And then when I also … let me see, there’s part of it here, “When you choose counties or areas to mail, wouldn’t you possibly get better margins as folks who are in a high cost area?” Yeah. You have to be careful, you don’t wanna piss somebody off in downtown Manhattan and send them a ridiculous offer. Speaker 1: So you really want to gauge your offers, so you’re coming in … at the rural land, you’re coming in at about a fourth of the price, so think of like 25-30%, your offer prices are what is out there for sale. And I mean kind of at the bottom end of what’s for sale. So I want you to offer … say there’s something … say it’s a great area and that everything’s selling between $10-20,000 for five acre properties, is what you’re looking at. That’s what you picked. Speaker 1: So I want you … because they’re $5-20,000 … I want you to sell yours between, I don’t know, $5-7000, right? Because you wanna be below everybody else that’s gonna move fast. So where are you gonna price your offers? You’re gonna price your offers $2500-3000 and that’s what you’re sending out. Excellent question. Speaker 1: Oh. I’m not sure if this is for the people or for me, so I’m gonna answer this question. Land Academy asked, “What is a good deal you have done lately?” So right now, houses. I’m doing some incredible house transactions in the Scottsdale and Mesa area, where we are anywhere from … well, we’re making, let’s say, $35-40,000 in days. That’s what we’re doing on our houses. We’re not even sleeping the floor, by the way. Speaker 1: We are finding these deals, marking them up, flip them to a wholesaler. They’re gonna come in to … you know, an investor, basically, and renovate them and make them awesome. Land deals, uh, I can’t keep up. We are still … our land deals from 2000-and-I-don’t-know-what, the phone doesn’t stop ringing. So right now, I guess one of my bests is an info lot that we did. I think we bought it for 12 and sold it for 30, so I love those. And those are easy. Those are the easiest deals, by the way. 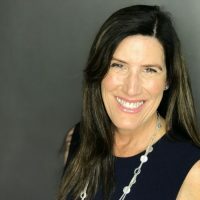 Speaker 1: Remember, the bigger the deal … I know it sounds scary with these high dollar amounts, but when you get to these bigger deals, you’re using title and Escrow when it comes to closing them and getting it all done and recorded. So, for me, it’s hands off, and those are easier. Love it. Speaker 1: Ben Godfrey asks, “If you’re aiming for the $10,000 on a land deal, what would they offer to sell it for?” Hopefully I just offered that. So then if I want to make $10,000 … so it’s worth 20 … I wanna buy it for 10 … well, how about this: let’s look at it this way, Ben, if I wanna make $10,000, I’m gonna buy something for $10,000 that is worth $20,000, but everything out there for sale is $40,000. Something crazy like that, $35-40,000. Close enough. They’re gonna find mind for $20,000 and love it. Speaker 1: Jake asks, “Since the owner is not trying to sell, they most likely would not be on top of what the going rate is.” You know what, Jake? Sometimes they just simply don’t care. Haven’t you ever had like … I don’t know, an unused treadmill in your garage, let’s just say, and you know you can clean it up, put it on Craigslist, go through the motion … or maybe not even Craigslist, there’s other places you could put it online and sell it and probably make five times what you’re willing to do right now, because right now you’re ready to just give it away. But you don’t wanna go through all that. Speaker 1: That’s really what happens. So that’s one thing, is they don’t wanna do it. And also they don’t know how to do it. Do they know how to go out and take pictures of their property, put it on the internet, and go through all that? No, they don’t. Speaker 1: Number two what happens is a real estate agent. A lot of real estate agents, depending on the properties, they don’t wanna touch them. It’s not their thing, the transaction is too small. A real estate agent’s commission on a $50,000 property, which is great for us, you know? I’m making $25,000 here, but for a real estate agent, they’d rather work with a $500,000 house, not a $50,000 piece of land. And the other thing is, their hearts aren’t … even if they took it on, often their hearts aren’t really in it because they’re over here working on that $500,000 house, as they should be. Speaker 1: Another thing is, you’re fast, you’re easy, you’re gonna close tomorrow. You really have to think about it as a situation. You’re really getting a good offer in front of people at the right time. And you know what? Guess what, you never know what it is. They just got hit with kids college tuition right now. Let’s say, right now, it’s October, that’s what’s happening. Parents are gonna get a college tuition, and guess what, that piece of property that mom and dad are hanging onto because they were gonna retire there someday, they just got an offer letter from me that I wanna buy it for $40,000. Boy, does that … And by the way, I can close on it next week, and I’ll have a cashier’s check to them that fast. Boy, does that sing to them. Speaker 1: So it’s that kind of stuff that happens. So great question. Whoa. Land Academy put in here, “How long does it take to learn all of this and get the first deal done?” Excellent, excellent question. So ramp up time … once you get our program, and you get in, it’s about, I wanna say, 13 hours or so of content. So you could do that … people blow through it in a weekend. Speaker 1: Then the next thing you’re gonna do is sit and pick a county. We teach you how to do that. You’re gonna know how to price your offers. We’re gonna teach you how to do all that. You could, in a couple … you could be trading deals in a month, let’s just say that. So if you do it slow and methodically, a month. I did a blog a long time ago … if you go look on our website, Land Academy … or just kinda Google for my blogs, you’ll find it. But I kinda went through for people that had a full-time job, how long would it take and four to six weeks, you could have deals done and closed with a full-time job and that’s only doing like four hours on a weekend. So excellent question. Speaker 1: Mary Crawford asks, “Do you ever buy landlocked properties?” There’s two types of land locks; there’s legal access … well, there’s landlocked … for people that aren’t sure, landlocked is like, “How do I get to it?” But there’s legal access and there’s physical access. And that, Mary, I’m happy to get into that in a whole nother show, because I have a lot to say about it, but to directly answer your question, if you’re new, I would not do that. If you’re new, I want you to make it really easy on yourself. We call it the Four A’s, okay? Speaker 1: So when you buy property, I want you to make sure it has all of the Four A’s. One is Access. I want [inaudible 00:26:46] right up to access. Let’s not mess around, make it easier for your buyer. Two is Affordability. Obviously, the least expensive, the best. Three is Acreage. When you’re starting out, bigger is better. Do some five acres, 10 acres, something like that. That’s best. And then four is Attribute. Like is it close to the Grand Canyon? Maybe it’s near some beautiful lakes. Maybe it’s got this mountainous cabin-like property. Things like that, with the heavily treed. So, that’s four. Speaker 1: So we buy properties now, all types. I don’t seek those out, but now and then … I mean, I’ve had some great properties that people had to get four-wheel drive to get there, and they love it. It’s crazy, but I stopped guessing what people wanted because just because I wanna drive right up to it in my car that does not have four-wheel drive, and get right out, doesn’t mean that somebody else doesn’t. I have had buyers that wanna go out and seek, and hunt, and make it their own, and camp. So good question. Speaker 1: Another thing to do is just properly … when you go to sell it, properly convey what it is, so they know right away. “You’re gonna need a four-wheel drive,” and the right guy will call you. 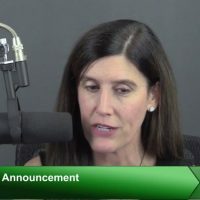 Speaker 1: David [Alter 00:28:08] is asking, “When is Land Academy 2.0 going to be available to members?” Weeks. We are weeks away. Speaker 1: Oh. Thank you. That was my partner just saying hi and he’s working on 2.0, David, so just so you know, that’s what’s going on. So we are weeks away from 2.0 coming, so bear with me, and every Land Academy member, everyone has 1.0, which is available right now, will automatically get 2.0 for free. So excellent question. Speaker 1: Aww. Thank you, Ben Godfrey. Ben Godfrey commented, “This is a great value to us. Thank you both for taking the time.” Thank you, Ben. All right. Do we have any … did I answer everybody’s question? I’m like all excited, this doesn’t [inaudible 00:29:06]. Look at us. I think we’re … if anybody has any last questions, I have a few more minutes, I’m happy to answer them. So this is great. I see a lot of people popping up, people I know, people I don’t know. Speaker 1: I’ll tell you what, if you have a few more questions, I’m happy to answer them, but as I’m reading I’m gonna just remind you if you’re thinking about this, it sings to you, you’re flipping other properties and it’s making your head hurt like we have done and a lot of our members have done, check out our eBook. Go get the eBook, it really kinda talks about our story, how we got here, how we have so much transactions, everything about what we do is in our free eBook, so just go to LandAcademy.com, on the top you’ll find that free eBook, and get that. Speaker 1: Let’s see what else here. I think I have some more comments. Yes. You guys are awesome. Jake asks, “Would you do a themed seller website? Like a site for those looking for a homestead. Another for bug out locations.” I haven’t heard of bug out locations, is it BOL, “Or maybe one for recreational sites or properties.” No, I wouldn’t … I love where you’re going with that, Jake, and having multiple websites, let me tell you, can be a … IT, and my team’s not in here right now, but they’re watching disaster and they know. So I’m not a fan of multiple websites, but I am a fan of what you’re talking about, marketing to all those groups. Speaker 1: So I would absolutely … say you’ve got something that’s perfect for the tiny house community. I would get on those sites and I would … not on those sites, but I mean in those groups, like social media, Facebook, Instagram, YouTube, I would be targeting those people like that. But what you wanna do is get a lot of traffic coming to your site, you don’t wanna manage a bunch of sites. I want tons of traffic, tons of view on your one site and then one of them is gonna checkout. So that’s an excellent question. Speaker 1: Let’s see here. Oh, good question, Mary. Mary Crawford asks, “What additions does 2.0 have than 1.0?” So 2.0 is a version … it adds what we’ve learned since 2015 and info lots. And what I mean is what we’ve learned since 2015 is now with our members and our community, the tools that we’ve added, the researches that we’ve added, how much easier it’s gotten, how much our community has brought in, the questions that they’ve asked and the help that they’ve needed, that is all in 2.0, to ramp you up even faster. Speaker 1: The other thing is, what we’ve found now, once you go in on 1.0 and you figure out this land and you’re doing great, and you’re doing bigger transactions, the natural progression is, “Okay, now what’s next?” And 2.0 gets you thinking about bigger dollar amounts, bigger deals, and info lots. And then after that, hold onto your hat, if you wanna go there, a lot of people hang out in land because it’s a great life and you can do it from anywhere, but hang in there. Then eventually for after that, we’ll be doing houses and some other things. [inaudible 00:32:44]. Excellent. Speaker 1: Oh. Will asks [inaudible 00:32:51]. Will asks, “What were the Four A’s?” They are … good question … one is Access. Can I get to it? And I preferably want legal access and physical access. And when I say physical access, it doesn’t have to be paved, a dirt road is fine, just so that I can get to it. Two is Affordability. I want it to be priced well. You know, I’m not gonna buy it high and I don’t wanna sell it high. I wanna move it fast. Three is Acreage, and the more the better, especially when you’re starting. When you get into info lots and things like that, it’s not so important, but when you’re running rural vacant land, I’d rather you sell … if you would do better at a five acre, you wanna buy it over a two acre, kinda thing. So think bigger acreage. And then the fourth is Attribute. I want it to have something special. I want it to be heavily treed, near a pretty lake, maybe it has a gorgeous view, something like that. Those are the Four A’s. Speaker 1: Benedict added, thank you, “Love expanded options of sharing the good stuff.” I’m glad. Hey, you know what? I just talked to someone today about this too. There’s enough land to go around, we don’t need to keep this as a secret and we’re not stepping on anybody’s toes. I don’t believe there’s any secret county … by the way, if there were a secret county, then those 50 counties, we’d be all in and I don’t wanna be in those counties. And that’s one of the beautiful things about Land Academy, what we do, we’re not telling you and limiting you to go to this list and only look at these counties, that’s ridiculous. Speaker 1: We’re teaching you the thought process. Here’s what you should be looking for, here’s what triggers that might indicate this is a good area to send mail to, and all the steps to help you go out and pick a county, because it happens all the time, every week I find myself talking to somebody in our group and I’m like, “What the heck are you doing and where are you doing it in?” And they’re in some county in some part of the country and sometimes I’ve never even heard of those counties, and they’re killing it, and I love it. It’s because we taught them the process, what to look for, how to price the mail, and do everything … whatever it is, in the county that they’re working in. So that’s awesome, awesome. Speaker 1: Thank you, Jake. 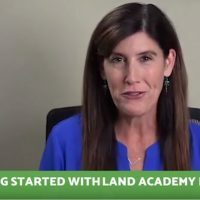 Good podcast on the Land Academy versus self starter. Oh, thank you. I am glad that you liked that. Sorry, I didn’t show that. So thank you, Jake. Access, attributes … all right. Speaker 1: Well, thank you everyone for coming. I wanna just remind you, if you’re thinking about this, get our eBook, if your past thinking about it and you wanna be in the club, we’d love to have you. This is who we are, by the way. Me, standing here, answering questions is what we do every week with all of our members too. And it’s Steven with me, we’re here to help you. And we have our online community, we do weekly member calls, we do live events. We’re here with you, we’re not going anywhere. So we’re very transparent and we really wanna help you. Speaker 1: Like I said, there are enough deals to go around. So if you wanna be in, be sure to go and hit Coupon Code when you go to the checkout page and join on LandAcademy.com. If you hit the code … or if your type in, I should say, “Spooky,” S-P-O-O-K-Y, for Halloween … it ends on Halloween, they’ll take $600 off for you. Speaker 1: I am Jill DeWitt, thank you for joining me today. Please leave in the comments anything you would like me to cover in another week and I’d be happy to talk about it. I’m here to get you started, that’s the hardest part.